Sunny days, pristine beaches, interesting culture and spicy food! Southeast Asia is the dream destination for many people and every year thousand of travelers flock to the cities and islands searching for the ultimate Asian holiday. But not everybody is prepared for Southeast Asia, for the good and bad things you can only find in this unique part of the world. 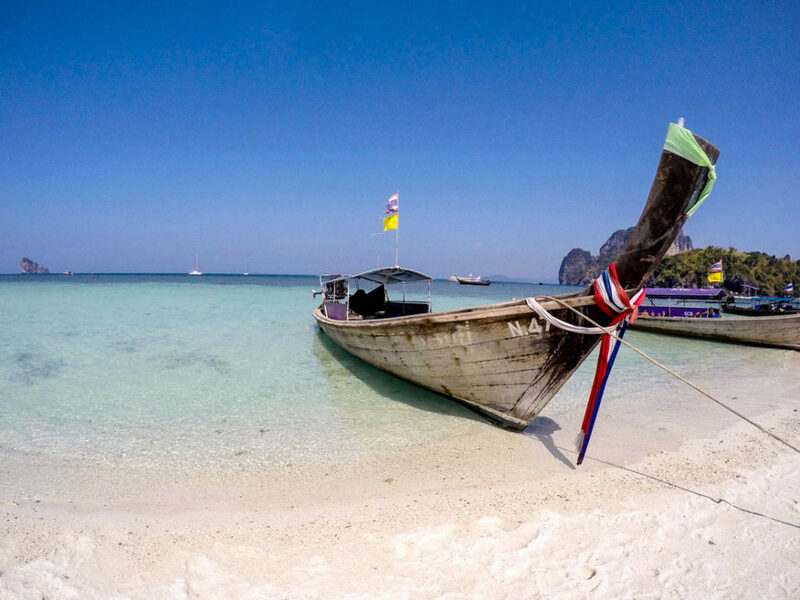 So here are the 10 best travel hacks for Southeast Asia. 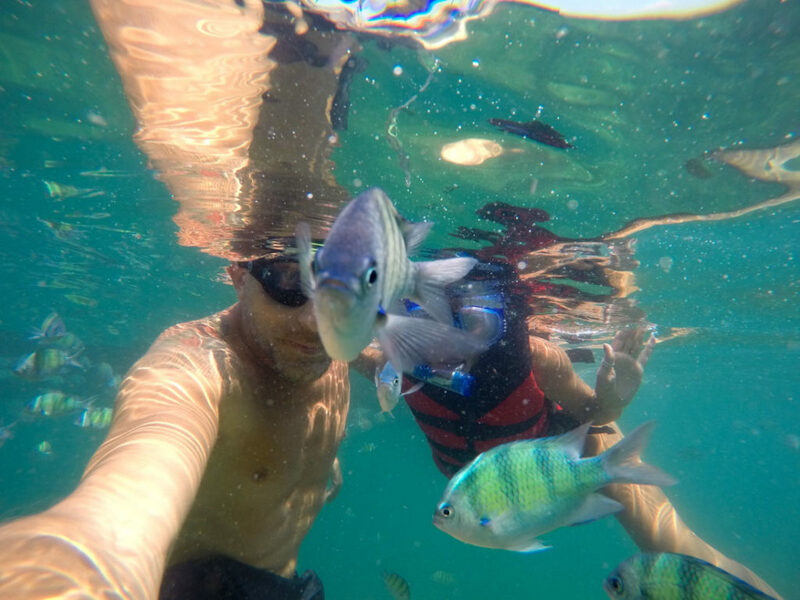 For the past two years, we have traveled to many countries in Southeast Asia and during this time we learned how to survive the heat and rain, to deal with spicy food and mosquitoes, and how to organize a hassle free holiday. Sounds silly, but many people forget about it, so our list of travel hacks for Southeast Asia star with weather tips! Plan your trip according to the weather. Have in mind that the dry and rainy seasons can vary a lot between the Southeast Asian countries, so when it’s dry in northern Thailand can be pouring rain in Singapore. The weather is divided into two seasons: dry and wet [and some super hot months in between]. The dry season is the best one, but the places will be packed with tourists, things get more expensive and accommodations are almost fully booked. The super hot summer is hot as hell. So If you want to face it be prepared with a hat, 50SFP sunblock and sunglasses. 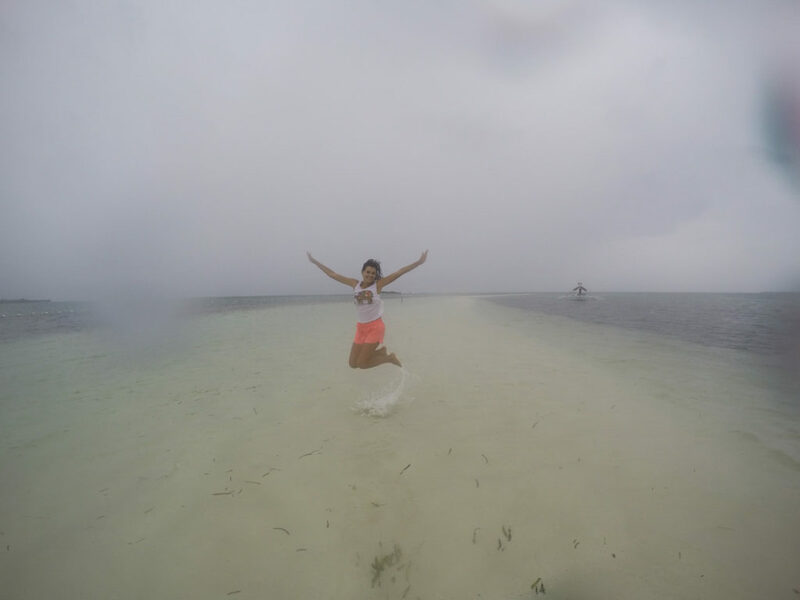 The rainy season is not as bad as people imagine, and in some countries like Thailand, it’s possible to travel and have fun. In the other hand, Indonesia and Philippines are a bit hard to get around, as floods and big swells can delay flights and boats. The visa requirements are different among the 13 Southeast Asian countries. Depending on your nationality you can have 30 or 60 days visa free, or maybe you need to apply for the tourist visa in advance. To make sure you won’t have a sad surprise during your holiday, visit the country’s Embassy website and follow the instruction for getting the visa. If you don’t need to apply for the tourist visa, even better. Although, double check if they don’t ask you to present a specific document when passing by the passport control. Some countries require an outbound ticket, proving that you are leaving the country before your visa expires. Travelling to Vietnam? We have a post about how to apply for the Vietnam Tourist Visa Online, the easiest and the right way to do it. Want more information about travel documents? Read our post about the 10 travel documents you must have! One of the biggest mistakes people do when traveling to Southeast Asia is to think that all the cities and islands are easy to reach, well-connected with flights, buses, and boat. Well, that’s not true!! Traveling in Southeast Asia means spending hours on flight connections, night buses and boat trips. To avoid missing your flights do a good research. You can go to Traveloka website to find the best flights and connections. If you are traveling to The Philippines be really careful, allow plenty of time between flights, or between your flight and a boat ride. Delays happen very often there. If you want to explore Southeast Asia, especially the small towns and the islands you gonna need a motorbike. 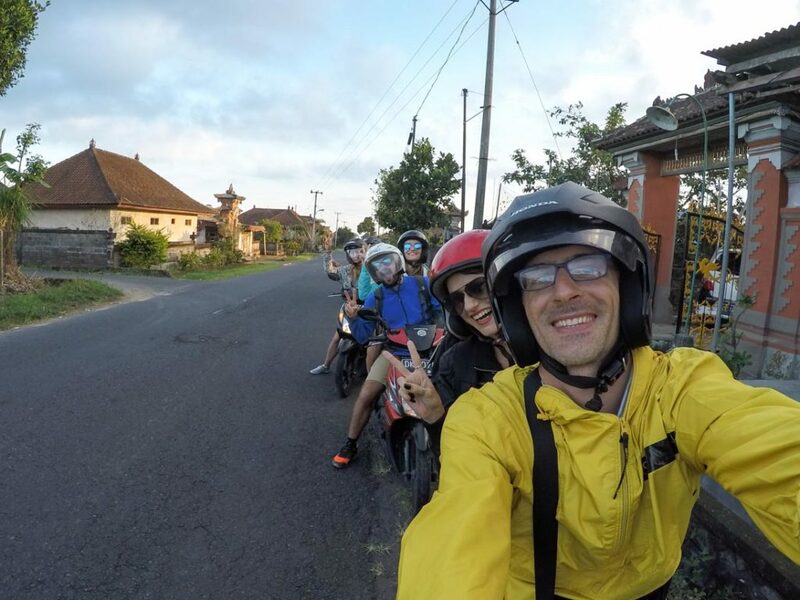 To explore the Thai Islands, to get to secluded beaches in The Philippines, or to see Vietnam’s countryside, you will need your own vehicle, and nothing better than a scooter. Don’t be a fool, bring along your drive license, even better if you have an international one. In most of the Asian countries you can rent a scooter with your normal drive license, but if you want to rent a car the companies might ask for the international document. Plus, the police can stop you and ask for your document, if you don’t have it you will be fined. Don’t take the risk!! Pack light people!!! Even if you are traveling for a month, there is no need to bring three bags, or those giant suitcases that have the same weight as a person. There are plenty of laundry in Southeast Asia, and they are cheap. Plus, if you are traveling to a beach destination you will be wearing swimming suit most of the days. Most of the people think about Southeast Asia as a hot paradise where you can show your skin all the time. Sorry, but it’s not everywhere that you can wear bikinis, cropped top and shorts. Depending on your itinerary you need to think carefully about the clothes you gonna bring. If Malaysia and Indonesia are on your travel plans bring long skirts and dresses, they are Muslim countries and it’s important to show respect to their culture and belief. 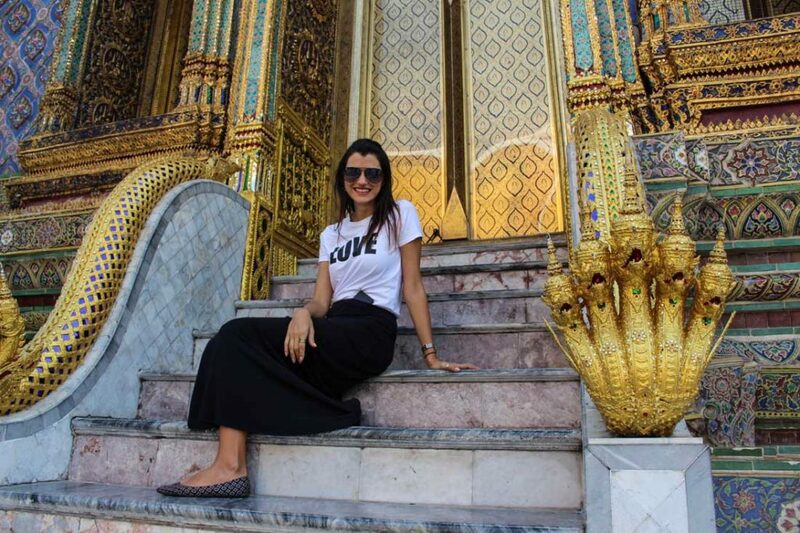 On Buddhist countries the same, you need to dress respectfully while visiting temples and monasteries. Visiting Vietnam, Laos or North of Thailand? So bring a light jacket and a pair of trousers, the weather is a bit cooler there and you will be surprised how the temperatures can drop during night-time. If climbing a mountain or a volcano is part of your travel itinerary, you will need more than a light jacket. Bring a woolen hat and warm clothes. We climbed Mt. 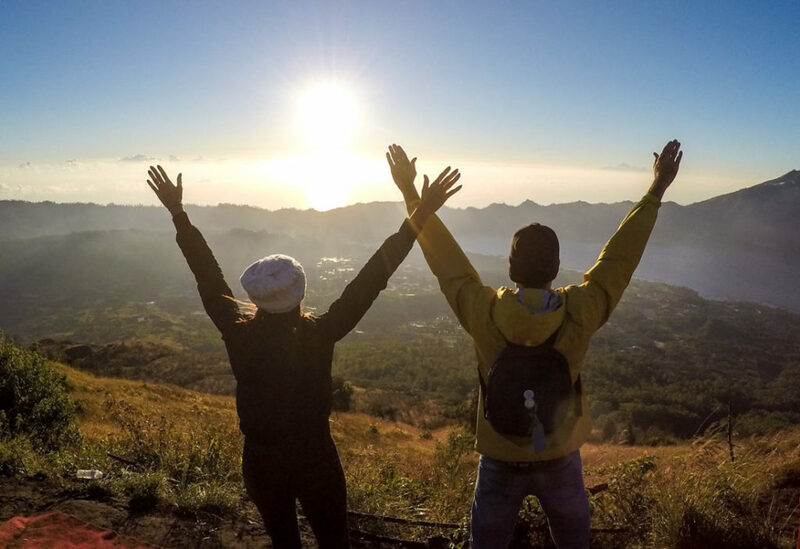 Batur in Bali, and was freezing up there, even though at the sea level it was 30º Celsius. English is an international language, but don’t take it for granted. In some Southeast Asian countries, as Thailand and Cambodia, English is not widely spoken, once you leave the tourist areas you will get stuck. Download a good language App on your phone, Google Translate works offline! Learn a few words like “Hi”, “Thank you”, “Please” and “how much”, it will help you a lot, and local people will treat much better if you show interest in their culture and language. And try to smile, it has always worked for us. Southeast Asia is a universe of different cultures, religions and food. Make the most of your trip to Southeast Asia and go local. Forget Irish pubs, Italian restaurants, French wine… Try the local street food, drink local beer or tea, experiment the uniqueness and push yourself out of the comfort zone. Don’t be afraid, in two years traveling in Southeast Asia e got sick only once. Public transport is also a good option to meet locals, discover the cities and save money. 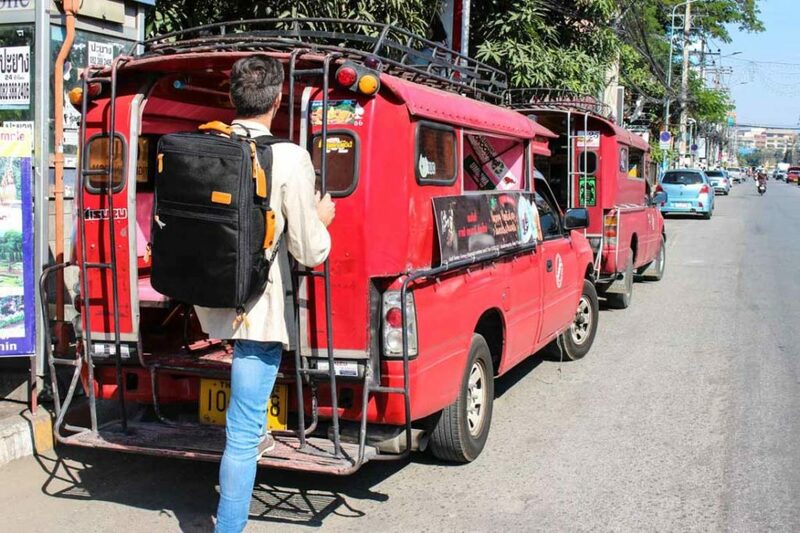 Taxis can be a real problem in Southeast Asia, all the haggling for the price, some of them don’t want to use taximeter and, especially in Thailand, they never know the addresses… Hop on a bus, or on a tuk-tuk and explore Asia. The last tip is one of the most important travel hacks for Southeast Asia: get a good and reliable travel insurance. 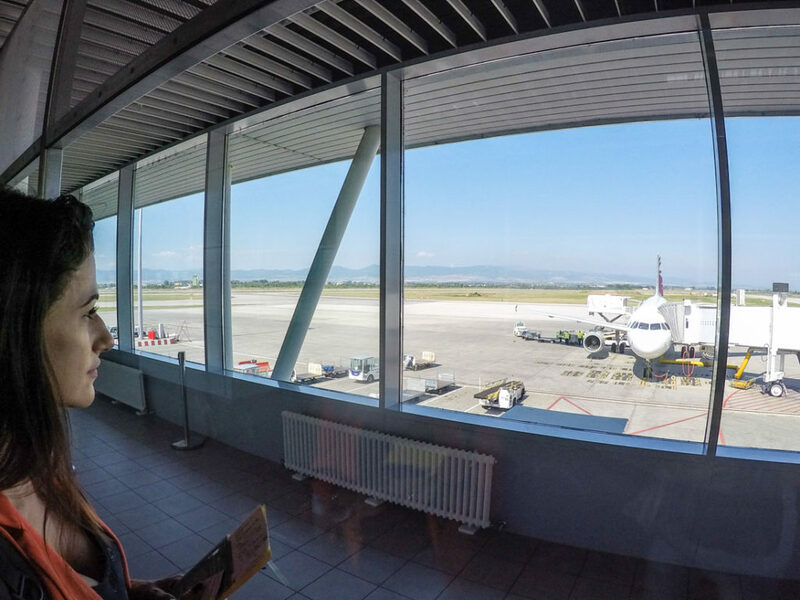 During your adventure in Asia you might do rock climbing, snorkeling, kayak, boat rides, or your luggage can be lost in one of the many airports and bus stations you gonna stop at… Protect yourself and your stuff! We use World Nomads travel insurance and when we needed they were super helpful! Love our travel hacks for Southeast Asia?! Do you have any other doubt? 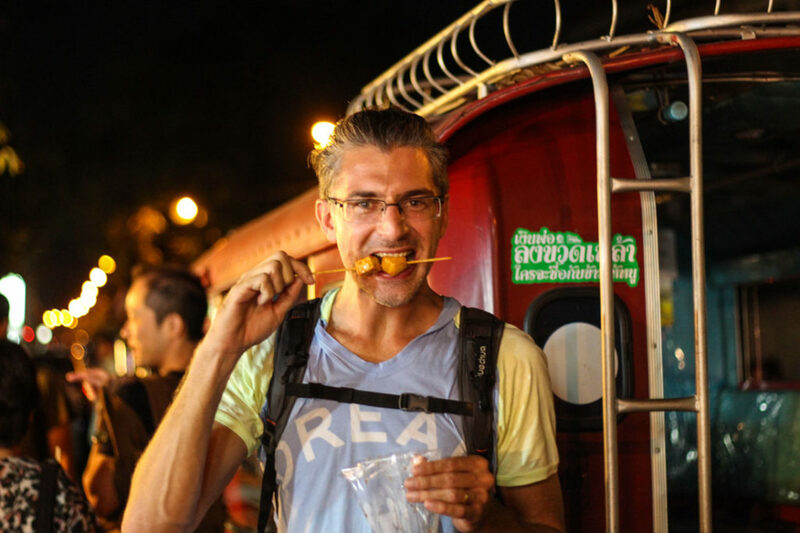 Or maybe you can share with us your personal travel hacks for Southeast Asia, don’t be shy we love to learn new stuff! Happy that you like the post! Most people forget to bring long clothes to Southeast Asia, it’s such a common mistake. Great guide! It’s always best to be prepared before venturing out and fulfilling those nomadic desires! Very useful and comprehensive tips! I like how you differentiate between the various countries – I definitely wasn’t aware of how different they are. Great advice. 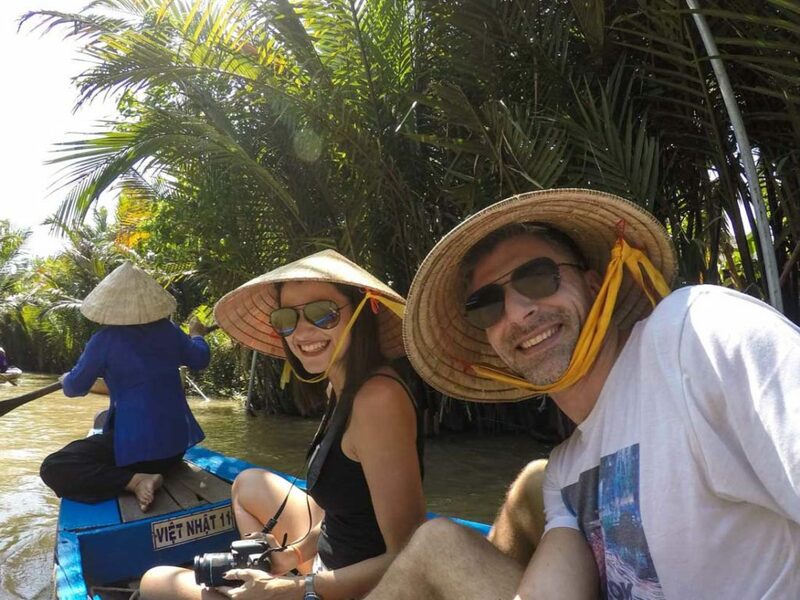 I am travelling around Vietnam at the moment (www.teachingtraveller.com). Another country where it’s possible to travel in monsoon season- it still gets lots of sunshine! Good to know that you can travel in Vietnam during monsoon season! 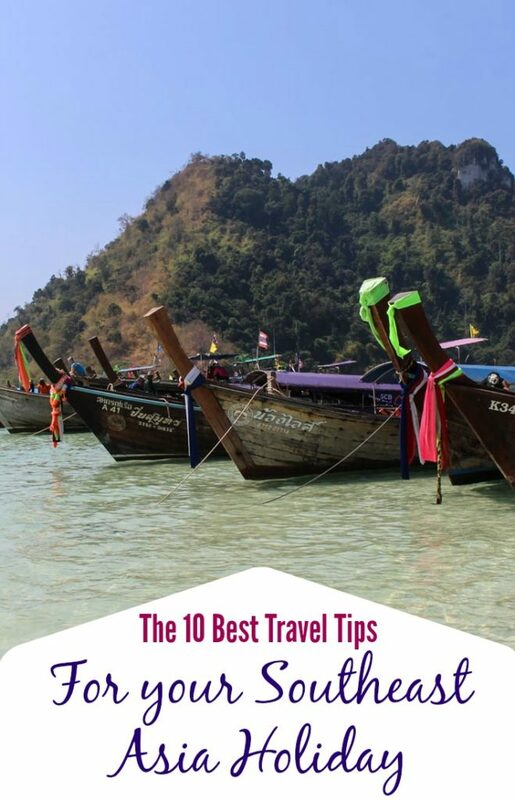 I have never been to Southeast Asia, but I know I’ll make it out there at some point, so it’s great to have all of these travel tips in mind before I go. Thanks for the post, and hopefully I’ll be out there enjoying the SE Asia like you both did soon! I didn’t even know there was such a thing as an international drivers license. Now I want to know more. I thought my license was good anywhere. It’s better to stay on the safe side, right? In Brazil you can get yours for about USD 30, not sure about the costs in other countries. Great tips guys. Having your visa and travel insurance is so important. Nat ended up in Hospital this year and tks to the insurance we didn’t have to pay a quite expensive bill! Some great tips! Recently spent two weeks in Bali and these all were true. Especially packing light. It was so helpful to be able to just throw my backpack on and jump out of a boat or hop on a bus. It is always useful to get some tips for a region/country/part of the world for someone who knows it very well. So your tips come in handy. I admit that I plan all my travels taking in consideration weather conditions (so I’d definitely keep this in mind for this part of the globe as well). And I also try to do a little research in what culture and dress code are concerned – also for all countries. Better safe than sorry 🙂 Really useful guide! Glad you liked Loredana! And agree with you, better safe than sorry! Excellent advice! I love visiting Southeast Asia and appreciate the tips. I agree that the mosquitos are ruthless. I don’t like to use DEET, but make an exception in SE Asia. Well, DEET is not that friendly to our skin but in SEA we really need it! ps. end of the year we are heading to Europe, maybe we can meet up! Great guide. Very good to know about the long dresses and skirts. I’m planning on visiting Southeast Asia for the first time and had not read about the long skirts/dresses. Thank you! Pinning this so I don’t forget anything when packing!! Great list of hacks!! We climbed Mt. Bromo and found ourselves freezing! Always better to be prepared. The international drivers license is a good tip too. Packing lightly is a tip I wished I had actually listened to. I took a full 75L backpack to Thailand for 3 weeks and it was torture hauling that thing around lol. Pack light is my #1 advice I give to anyone going to Asia. With humidity and hot sunny days all year round, the last thing you want to be doing is carrying a heavy backpack! we travel with a small backpack and it’s the best for hot and humid weather! Excellent hacks, Natalie! I found your post very helpful! Glad I stumbled upon your blog. HI Angess, you are welcome!! Planning to visit Singapore soon, thanks for the tips on being local as it helps to explore more unplanned paradise.